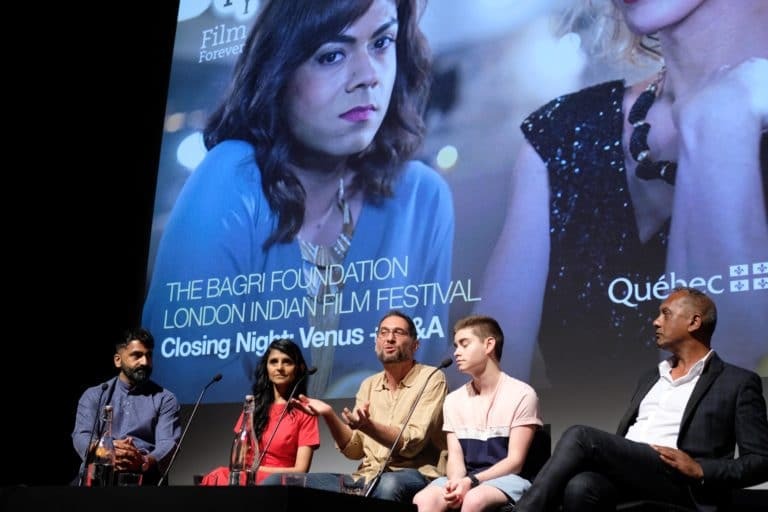 The Bagri Foundation London Indian Film Festival (LIFF) showcases a new and exciting selection of cutting-edge independent films including UK premieres of short films, features and documentaries. Title sponsored by the Bagri Foundation since 2015, the festival is now Europe’s largest platform for Indian and South Asian independent cinema. In 2019, the Festival will be ten years old and with the support of the Foundation, has continued to grow rapidly. In 2018, it took place across 13 cinemas in three cities; London, Birmingham and Manchester. The Festival’s annual Satyajit Ray Competition, presented in association with the Bagri Foundation, offers a £1,000 prize for emerging filmmakers and six, shortlisted entries are screened. The Festival also presents its Pure Heaven Icon Award and its Outstanding Achievement Award, supported by Sun Mark Ltd. In 2018, the festival had over 3,000 attendees and placed an emphasis on the female directorial eye, fathers and sons, and extraordinary lives from the Indian subcontinent, with many international names starring in a carefully curated selection of films. LIFF were able to secure the world premiere of Love Sonia, a film starring Freida Pinto and Demi Moore which championed South Asian women’s rights. Coinciding with Pride month, we were also proud to support a series of LGBTQ+ films, including the festival’s finale, the comedy Venus, an inspiring story of transgender identity, acceptance and love in all its guises. You can view the full programme for 2018 here. Title sponsored by the Bagri Foundation, the festival is now Europe’s largest platform for Indian and South Asian independent cinema. The Bagri Foundation London Indian Film Festival includes UK premieres of features, documentaries and short films. At 9 years old and with the support of the Foundation, it is growing rapidly and currently takes place in thirteen cinemas in three venues, London, Birmingham and Manchester. The Festival’s annual Satyajit Ray Competition, presented in association with the Bagri Foundation, with its £1,000 prize offers a platform for emerging filmmakers and six, shortlisted entries will be screened. The Festival will present its Pure Heaven Icon Award and its Outstanding Achievement Award, supported by Sun Mark Ltd. The Bagri Foundation has been proud to support the London Indian Film Festival since 2015. The festival also receives grant support from the BFI’s National Lottery Audience Fund.